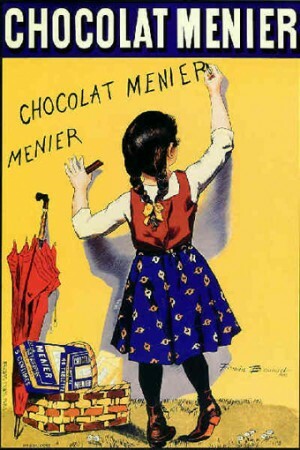 More than a century after their creation, the little girl emblem of the Menier chocolate, and the little schoolboy of Lu have remained vivid in our imagination. 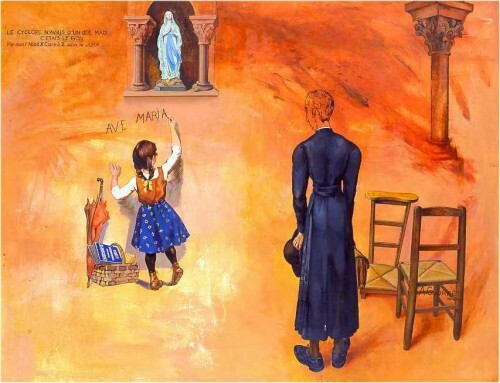 Moreover, more than a hundred years after they have been created, they have become icons of the reminders of our youth. 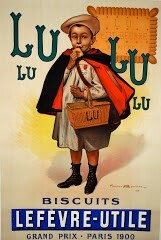 The little schoolboy sustains even records of persistence of an advertising symbol while he still exists on biscuits of the Lu brand. The two were brother and sister, Yvonne and Jacques. 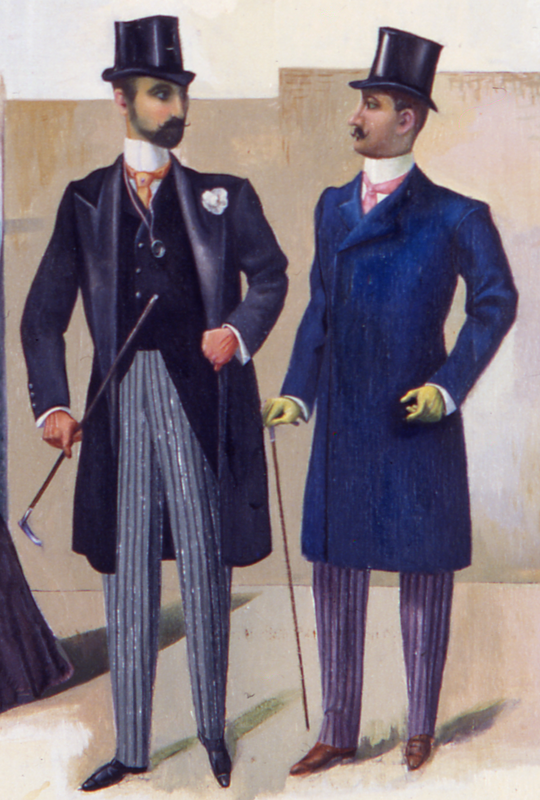 Their father Firmin Bouissou took them as models. 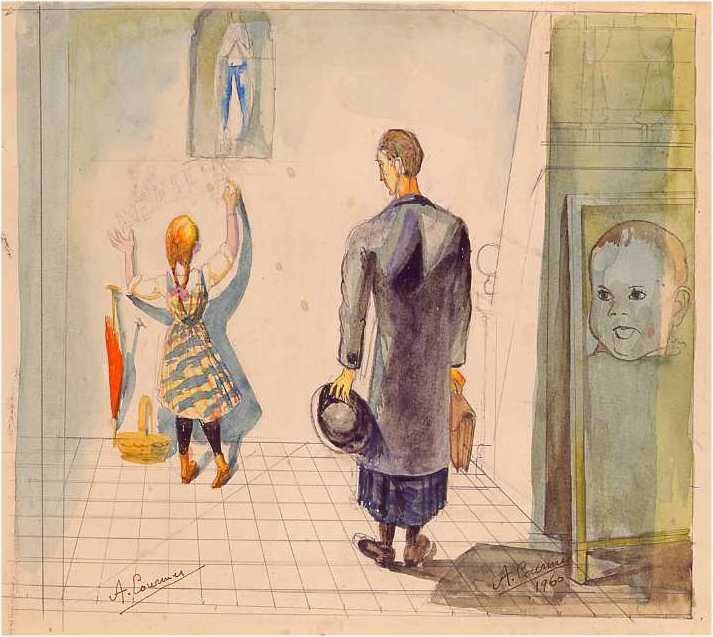 Typical of his work, these two kids were followed by many others : the little girl of MAGGI, the one of Leroux chicory, the little chimney sweeper of the Job cigarette paper or the harlequin of the Poulain chocolate, to name only a few. 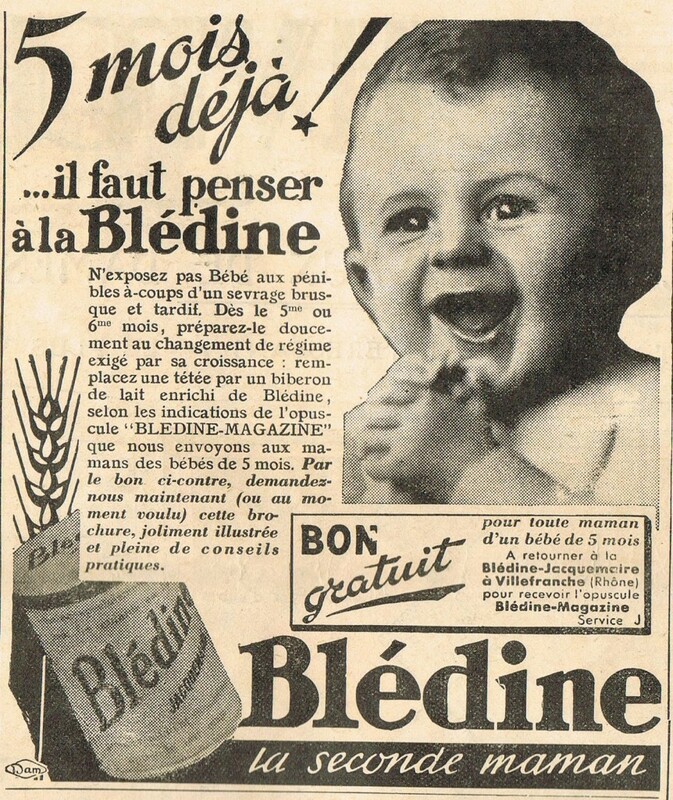 By the simplicity of graphism, by the evidence of the message transmitted, by the reiterated presence of the kid, Bouisset’s work shows a true change in advertising history. 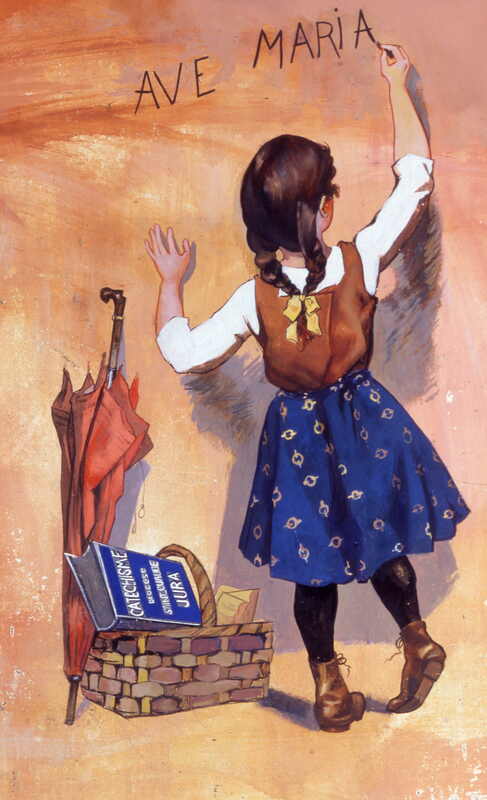 Hundred times copied, hundred times amended, the little Menier girl is probably the emblem which has been most copied. 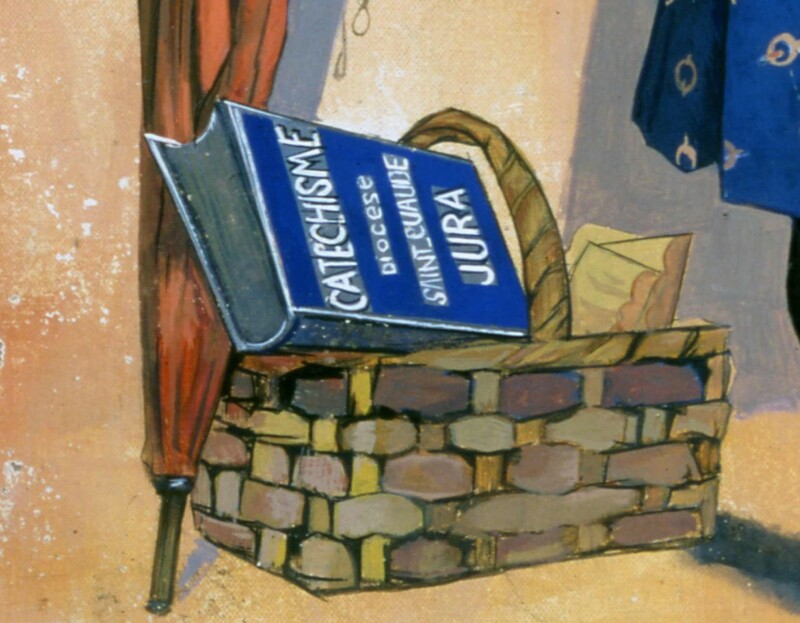 As you were able to read in previous issues, Alfred Courmes had a deep admiration for the creations of artists of the advertising world. You have seen the little girl emblem of the Menier chocolate in his painting "45% de B.A" (1961) a few weeks ago (4th issue). 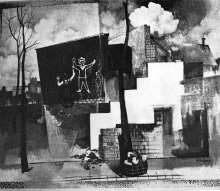 This painting illustrated a press item written by Philippe Dagen * for an exhibition in December 1982 at the Jean Briance gallery, Guénégaud street, Paris, organized by Claudine Martin. * Philippe Dagen teaches Art History at Pantheon Sorbonne university (Paris 1), and writes in Le Monde newspaper and publishes books of his own. 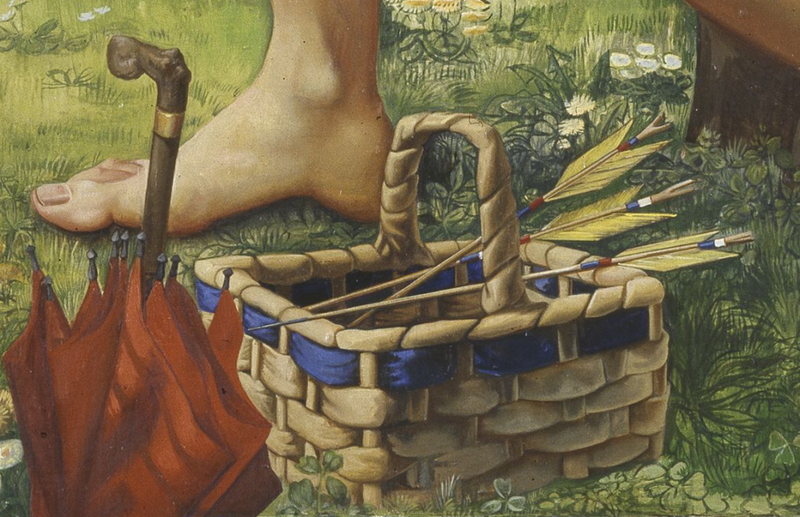 The little girl (detail) also appears in two different preparatory works for a painting for which there were three initial works. It is titled “Three trees inSecretan avenue”. 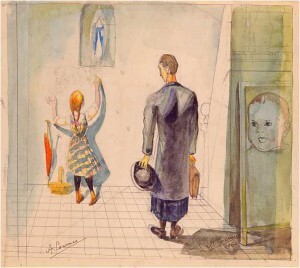 In a first version, she draws on part of a wall the naïve design of a sailor. At the forefront, next to the umbrella, one notices the basket filled with berets with red pompoms. I am searching for a coloured version. (page 44). There is also a version of “Three trees inSecretan avenue” without the little girl. 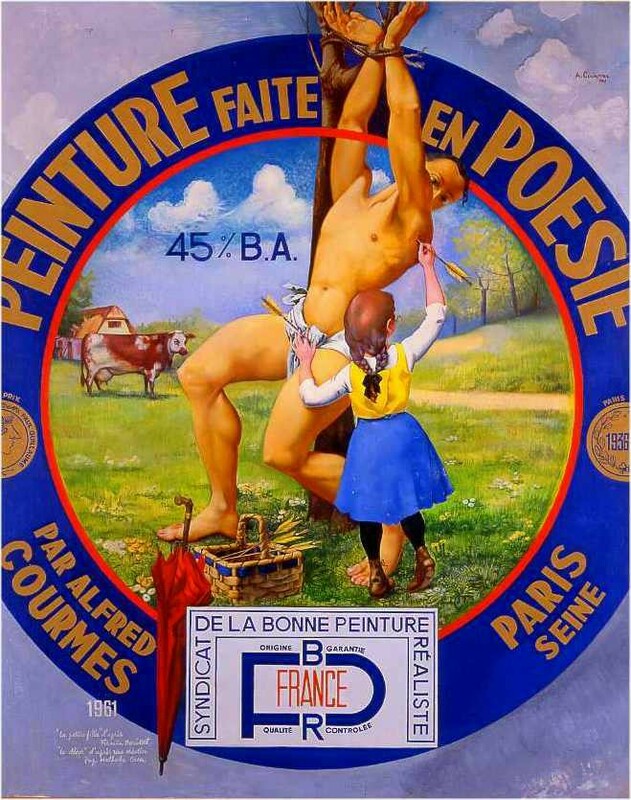 - 1979 Rétrospective, PaintingsMuseum, from May 16th to August 20th,Grenoble. - 1982/1983, private exhibition, Jean Briance Gallery, from December 2nd to January 29th,Paris. - 1984 Grand Palais, hundredth anniversary of the Salon des Indépendants, April,Paris. 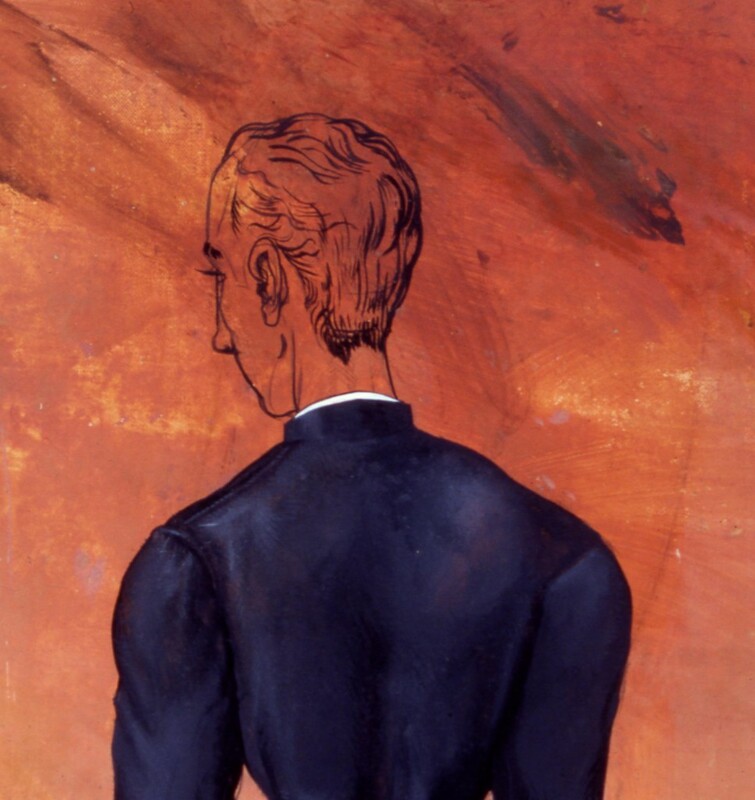 - 1989 Rétrospective, Saint Roch hospital Museum, from October 231st to December 17th, Issoudun. 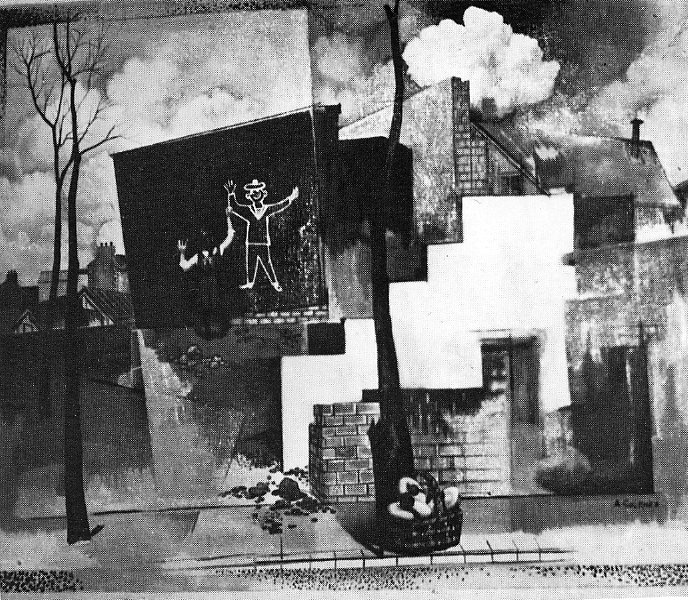 - Jean-Marc Campagne, Alfred Courmes, Prospecteur de mirages entre ciel et chair, Photographs by Robert Doisneau, Jacqueline Hyde, Marc Vaux, publisher Eric Losfeld, 1973, page 44, 105 and 108. - Vitalie Andriveau – Gilles Bernard, Alfred Courmes, foreword by Michel Onfray, le cherche midi publisher, 2003, page 124. 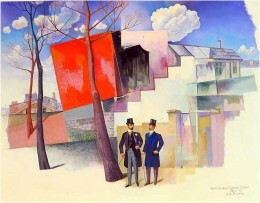 - 1957, 13th Salon de Mai, Museum of modern art of Paris, from 4th to 30th May. - 1979, Rétrospective, Museum of paintings, from May 16th to August 20th,Grenoble. 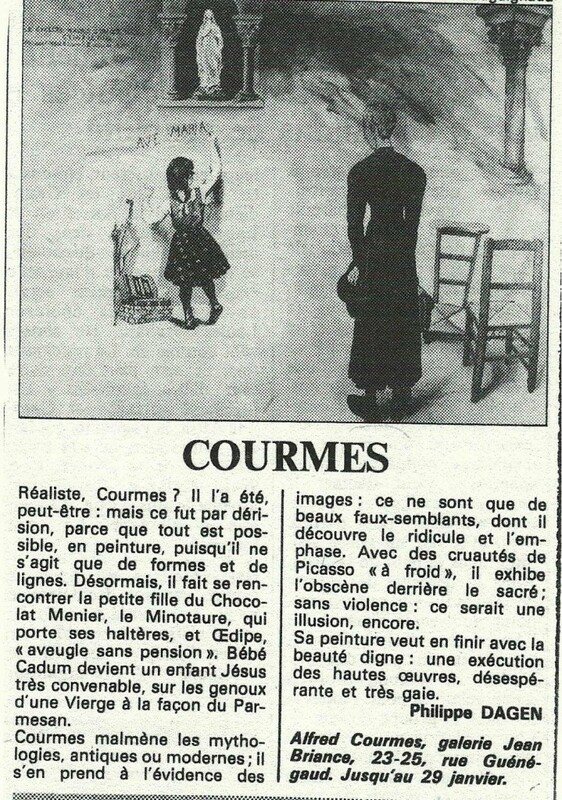 -Jean Marc Campagne, Alfred Courmes, Prospecteur de mirages entre ciel et chair Photographs by Robert Doisneau, Jacqueline Hyde, Marc Vaux, publisher Eric Losfeld, 1973, pages 44-45. 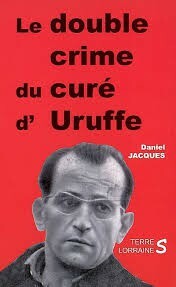 - Vitalie Andriveau – Gilles Bernard, Alfred Courmes, foreword by Michel Onfray, publisher le cherche midi, 2003.